Upgrading your phone every couple of years, if not every year, is fast becoming the norm, and while you would of course try and sell the old phone, sometimes the value of smartphones drops so quickly that selling older hardware isn't really worth the effort. The end result is that you could have a smartphone lying around the house, just taking up space in a drawer. If you're looking for a simple way to find a good use for the device, we've got an easy to set up project that you can do without too much time or effort: you can turn the phone into a security camera. There are a number of reasons why you might want a security camera in the house, to set up a simple CCTV (closed circuit television) monitoring your home, or office. Installing specialised CCTV equipment is pretty expensive though, and not something most people can do by themselves. But using an old phone is a cheap alternative that's also easy. All you need is an old smartphone or tablet, and the right software. Sorting through this list was a challenge, and we tested out most of the free apps that were available. 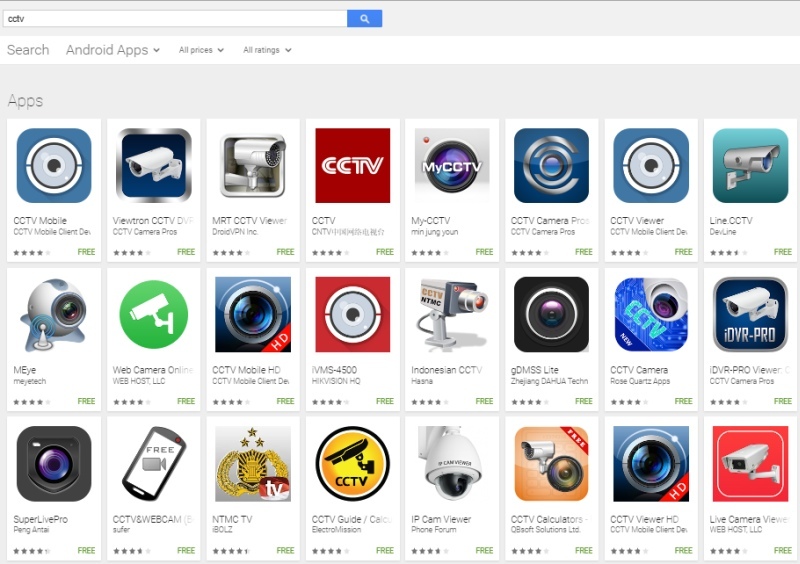 Among the popular apps that we saw on Google Play, some such as CCTV Mobile didn't open on a Samsung Galaxy S7 or on a Lenovo Vibe K4 Note. Another app that had good ratings on Google Play, called Viewtron's CCTV DVR, worked for a few minutes before crashing, and reinstalling did not fix the problem. LineCCTV, which is downloaded by thousands of people, turned out to be a fake app. We had plenty of other bad experiences until we tried out Home Security Camera - Alfred, and Web Camera Online: CCTV IP Cam. Both apps worked reliably, though they lacked many features that were mentioned elsewhere. Another popular app, FetchCam has a terrible user interface that made it hard to set up. Finally, we zeroed-in on an app called AtHome. Apart from the straightforward UI and plethora of features, what separates this app from the others we tried is its reliability. Having gotten a hold of an old phone, and finalised which app to use, the next step was to set it up and get things running. For this to work, you need one old phone that has a working Wi-Fi connection. You'll want to fix it in such a location that you can connect the charger to it as well; because you don't want the battery to run out in the middle of recording. You also need one phone or tablet to view the video feed, or you can also do this from your Windows PC. This is what you need to do. 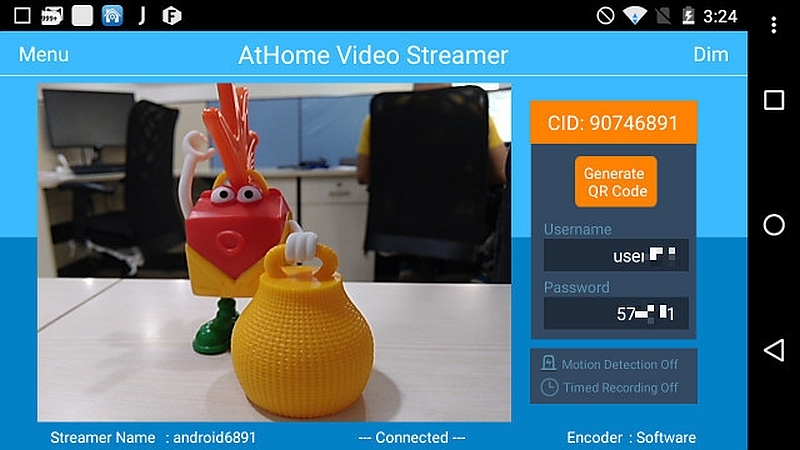 1) Install AtHome Video Streamer- Monitor (Android | iOS) on your old smartphone. This handset will be used for streaming the camera feed. 2) Now, download the AtHome Monitor app (Android | iOS) on the device you want to receive the CCTV feed. This phone or tablet will be used for viewing the camera feed. 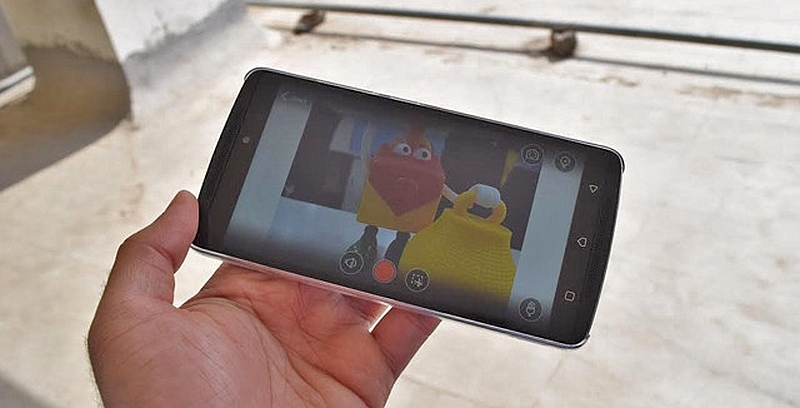 3) On the 'camera' and the viewing phone both, launch the respective apps. 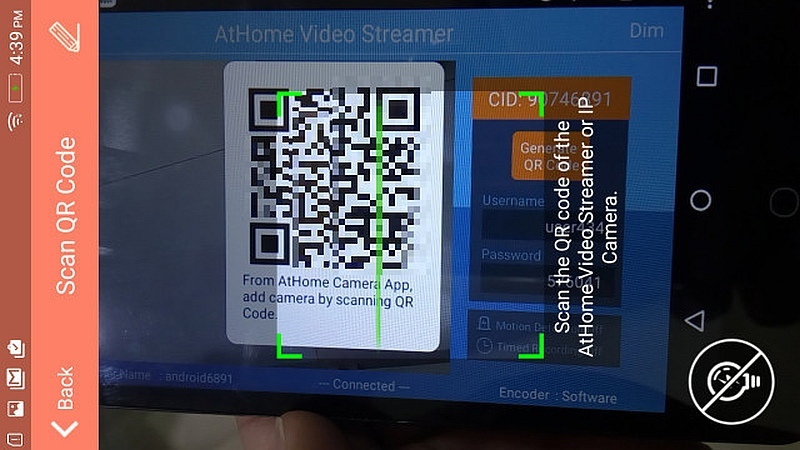 As soon as it goes online, the AtHome Video Streamer will generate a unique Connection ID (CID) along with a username and password. You can enter this information on the phone you'll use to monitor the feed. Or you could just scan the QR code like we did, which saves a fair bit of time. 3) On the device you'll use to monitor the feed, you need to launch the AtHome Monitor app (called AtHome Camera on iOS) and then you can enter the account details above, or click to add a feed using the QR code generated above. Scan the code and your CCTV streamer and receiver are up and running. 4) Want to access the CCTV stream on your desktop computer? If you're on Windows, you can. All you need to do is download and install the AtHome Camera desktop client. If your machine has a webcam then it can scan the QR code just like in step 3; otherwise you'll need to create a username in step 2 and log-in that way instead. 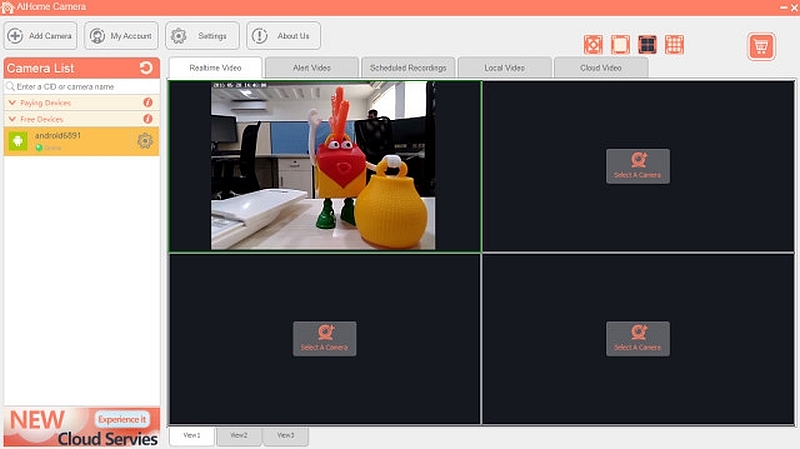 You can add and monitor up to four camera streams in the desktop client. 5) The app is packed with features such as scheduled recording, and two-way talk. You can switch between the front and rear camera and enable the LED flash remotely. More importantly, you can record the stream or take a snapshot. The video is stored in SD quality MP4 format. That is much better than what majority of CCTVs can pull off. Saving a minute of stream takes up 3MB of storage. An entire day's (24 hours) feed can take up to 4.5GB, so if you're using the camera for round the clock surveillance you'll want to transfer the files to your computer daily. Coming to the subject of data usage, the AtHome streamer used 64MB in 10 minutes. The viewer utilises the same amount of data. Undoubtedly, it makes sense to stick to Wi-Fi and not use cellular data. Thankfully, since the app can detect motion and notify you about it, you don't need to record the data or transmit it non-stop. Almost every feature of this app works without any upgrade. The only paid feature that you might want is the cloud service that allows you to backup the stream on company's servers, which is optional. That's all there is to it - four steps, a couple of easy to use free apps, and you've managed to salvage an old phone that was just wasting space in your house, and find a good use for it instead. Chandrakant Isi has been covering all-things-tech for over 10 years. He is a sci-fi aficionado, wannabe space explorer, and Content Lead at MySmartPrice.com.